Your truck deserves only the best so why settle for anything less? TopperKING is a family owned and managed business. We have been serving the needs of truck owners in the Tampa/Brandon/ Clearwater area for 30 years. Over 70% of our customers are repeat or referrals! With convenient locations on both sides of Tampa Bay the TopperKING Team strives to insure a level of service, knowledge and professionalism that is unequalled in the truck accessory industry. You can trust our experienced installation technicians that treat your truck as it were their own. The TopperKING techs have been with us for years. They know what they are doing! Our sales staff know truck accessories. Are you going to trust your $$$ truck to a backyard mechanic or a business that operates from a storage facility or a far away country? Don’t think so. TopperKING has a physical location with real people! Come in and become a TopperKING friend. Tell us what you need and relax. You’ll have the best the industry has to offer in short order at an affordable price. 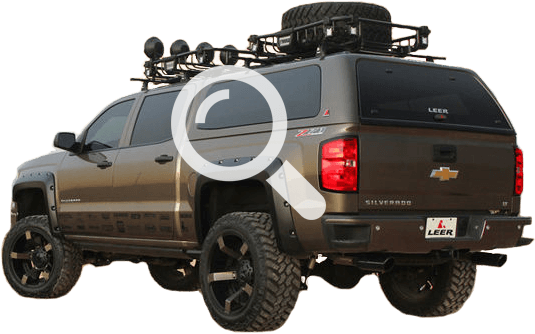 TopperKING proudly offers the following products to our customers in the Tampa Bay/Clearwater area: Bedliners, Spray Liners, Side Step Bars, Window Tint, Chrome Accessories, Hitches, Tonneau Covers, Truck and Van Racks, Toppers, Lids, Tool Boxes, Bug Guards, Vent Visors, Grill Guards, Graphics, Mud Flaps and Floor Mats. These are only a few of the truck accessories provided by TopperKING. Stop by our showroom and let our accessory experts start helping you make your truck YOUR truck. With our huge inventory we’ll have you working smarter, playing harder than ever before. TopperKING is truly your truck accessory authority in the greater Tampa Bay area.